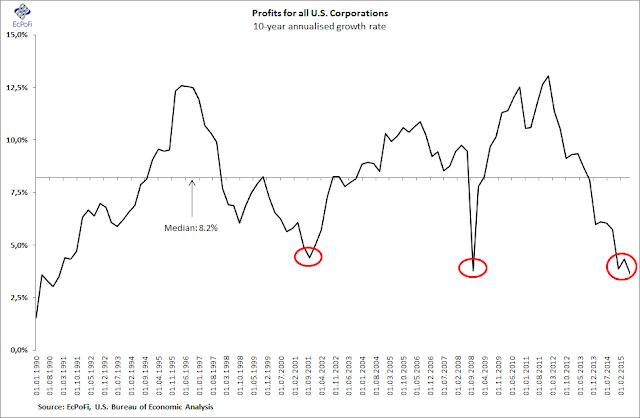 EcPoFi - Economics, Politics, Finance: Chart of The Day: With Earnings Growth Like This, Where is the Stock Market Crash? Chart of The Day: With Earnings Growth Like This, Where is the Stock Market Crash? It must mean the death of earnings growth as a key driver of stock market prices. Or perhaps I'm just underestimating those earnings expectations...?